Welcome to the 64th part in our series of troubleshooting articles dedicated to the Samsung Galaxy S4. This phone which was released back in 2013 is getting a refresh as the latest Android Lollipop is making its way to this model. The software update brings tons of new features and improvements to this previous flagship model. In this latest installment of the series we will be dealing with some of the emails we received recently from our readers concerning this device. Some issues are regarding the Lollipop update while most deal with the previous software version. If you own a Galaxy S4 or any other Android device for that matter then feel free to send us an email at [email protected]. We will be more than happy to assist you with any concern that you may have with your device. This is a free service we are offering with no strings attached. We however ask that when you do send us an email ty to be as detailed as possible so that an accurate assessment can be made and the correct solution can be given. Problem: hello, I got a Samsung galaxy s4 (t mobile version) and it doesn’t show charging although it’s connected to the charger. I tried replacing the charger, battery and charging port. But anything dint work. And when it charges up to 93% the phone automatically switches off. And again to turn on the phone I need to remove the battery and put it back. I’m done with this scenario and please give me a solution for this problem. Thanks. Solution: Since you’ve already tried troubleshooting the hardware side it’s time to check if this issue is a software related problem. In this case I’d immediately do a factory reset to eliminate any app, software, or data related issues that is causing this charging problem. Make sure to back up your data first before proceeding as this will be deleted in the process. If the issue persists then the problem may already be with the charging controller on the motherboard. I recommend bringing your phone to an authorized service center for further checking. Problem: I have a Galaxy s4 and the problem is all keys are not functional or responsive. The touch screen works fine I factory reset I rooted it with CyanogenMod still contains the same issues. Please help. Solution: When you say keys, I assume this is the capacitive hardware keys of the phone right? Try flashing back the original firmware of the phone. If the issue remains the same then this may already be a hardware related problem. If this is the case then you should bring your phone to an authorized service center for checking. Problem: Hi, while I was looking for answers found out your website. I’m having an issue with my galaxy s4. Cannot listen ringing sound or be heard but the call is processing. When I call it rings on the other side but I don’t hear nothing on my side. I read that there’s a lot of people with this problem if you could give me an answer I would appreciate it. Solution: Try to reboot your phone first and see if this resolves the issue. A reboot will reset your phone software which eliminates any glitches that may be causing this issue. If the issue persists then your next step is to determine if a certain third party app is causing this to happen. Restart your phone in Safe mode to verify if this is the case. 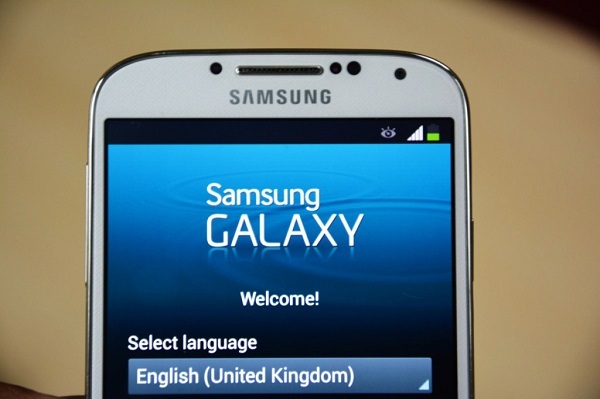 When ‘Samsung Galaxy S4’ appears on the screen, release the Power key. If the issue does not occur in Safe Mode then it is most likely caused by a third party app. Find out what this app is and uninstall it. You should start with the most recent app you installed before the issue occurred. Problem: Hi I have the Galaxy s4 and every time I go into my contacts and save my info and set up a default picture, 2 days later it deletes itself and I can’t for the love of go figure out why. If you have any idea that would be helpful thank you. Solution: Does this issue happen for all of your contacts? Try checking the Contacts setting first and see contacts it is displaying. If it is set to display SIM contacts then you won’t be able to see the photo. Make sure to set it to display contacts stored on the device or set it to display all contacts. Problem: I just bought a galaxy s4 from straight talk from Walmart. My battery is being drained by the Wi-Fi keep restarting itself. I am NOT new to smartphones I’ve tried everything I can going into advanced settings and making sure that it doesn’t search but it still turns on about after three to five minutes of turning it off no matter what. I am thinking I might have some sort of app from AT&T or some other place that keeps restarting the Wi-Fi option. I need to know whether or not I have to take this back and return it and get another phone or if I will encounter the same problem with another phone. I am nearing the 14 day return window so if you could give me a response I would appreciate it. Solution: Make sure that in your Wi-Fi settings the auto connect feature is not checked. Tap on the advanced option and make sure that auto network switch is not checked. You should also go to Settings>More Networks>Mobile Networks> Connections Optimizer> then un-check that box at the top. There are also cases where certain third party apps may turn on your phone Wi-Fi. To check if this is the case you should start your phone in Safe Mode. If the issue does not occur in this mode then it is likely caused by a third party app. Find out what that app is (start with the most recent app installed in your phone prior to the issue happening) and uninstall it. If the problem persists then do a factory reset. Just make sure to back up your data beforehand. Problem: Hello, I found your site and thought I’d see if you could help me. I have a Samsung Galaxy S4. For the last few days, I have not been receiving calls, and my texts come through 3 or 4 hours after someone sends them. Beginning yesterday, I have not been able to send texts, make calls, or receive either. No matter where I am, my phone is still showing that I have no service. Any suggestions? Thank you! Solution: Try to reset your phone connection with the network by doing a reboot. Just turn off your phone then tur it back on after a minute. This will refresh its connection with your carrier. If the problem persists then try to use your phone in various locations. This will allow you to check if it occurs only in a specific area. Call your network and verify if there are any network related issues in your area. You should also try using a different SIM to verify if this is an account related issue. To determine if a software glitch is causing this problem a factory reset is highly recommended. You should back up your phone data first before proceeding. If after the factory reset the issue still remains then this may already be hardware related. You should bring your phone to ab authorized service center for checking. Problem: Hi. I own a Samsung S4 device.. It keeps rebooting without any reason. When I do factory reset.. It gets Oright and works fine until I install apps from playstore. When I install apps for my personal use, it works fine even more than week but all of the sudden it starts rebooting again. Kindly help.. What is the problem? and what causes it to reboot? What should I do to stop it from rebooting..? Do I need to update apps after sometime or what things I need to take care of..? Please write to me in detail.. I will be so thankful to you.. Kind Regards. Solution: It appears that an app may be causing this reboot issue to occur. This usually happens when it has a corrupt data or it conflicts with the system software. To resolve this issue make sure that your phone software is running on the latest system update. You should also make sure that your apps are updated to the latest version. To determine which app is causing this to happen you should uninstall the third party apps one at a time. After each uninstall observe if your phone still reboots. Repeat the procedure until you get to the part where your phone does not reboot. The last app you uninstalled may be the offending app. Try not to install this first until an update is released by its developers. Problem: My friend and I were at a game last night, and his phone turned green out of nowhere. and we took out the battery and it didn’t do anything. then, we turned it off and tried to turn it on, and it just vibrated, but didn’t turn on. please try and answer ASAP. Solution: Connect the phone to its wall charger and let it charge for at least 15 minutes. Disconnect the wall charger then try turning the phone on. If it does not turn on then take out the battery and remove the microSD card. Press and hold the power button for at least 3 minutes. Reinsert the battery (leave the microSD out) then turn on the phone. If the problem persists then wipe the phone cache partition. If the phone does not turn on or if it turns on with a green screen then this may be a hardware related problem. You should bring the phone to an authorized service center for checking. Problem: My galaxy S4 suffers a serious problem on screen flickering. Could you please send a solution for that. Solution: Try checking first if there are any new software updates available for your phone. If there are then install them. These updates come with improvements and bug fixes that may help resolve this issue. You should also consider the fact that certain third party apps may be causing this to happen. Did this issue occur right after installing a particular app? To check if this problem is app related you should start your phone in Safe Mode. If the screen flickering issue does not occur then it is most likely caused by a third party app. Find out what that app is and uninstall it. If the problem still persists in Safe Mode then do a factory reset. Make sure to back up your phone data before proceeding. Problem: About 4 days ago my phone would not connect to the network and I rebooted it about 10 times, it finally connected and worked for awhile. I have had it drop a cal and lose the network. I have had the phone state there is a Sim card error and restart. Now sometimes when I restart it comes back on and works but after I make a call send a text it usually disconnects again. This is a very random issue, I have tried in safe mode to remove some programs, I have removed my sim card and everything looks good. What do you think? Solution: Try to use another SIM and see if the issue still occurs. If it doesn’t then your SIM may already be faulty. You should also check if the SIM is properly secure in the phone SIM tray. If there is some movement then this may also cause the SIM card error. If the SIM tray does not properly hold the SIM then this may need to be replaced at an authorized service center. Problem: I have a Samsung galaxy s4 active and when typing in certain parts of the screen such as when I press the r button it will press t and e it does this in a couple of places if I turn the phone counterclockwise I can use the r is there anything I can do to fix this or is it the digitizer? Thanks in advance. Solution: Try to do a factory reset first to eliminate any software related causes. Do backup your data first before proceeding. If the issue persists then the digitizer may already be defective. You should bring your phone to an authorized service center for checking and repair. Problem: Gentleman, I have a 2 year old Samsung Galaxy S4 that I can call out on but when someone try’s to call me it goes straight to voice mail. If I switch over to Wi-fi calling the calls come in no problem. I did a full master reset and the problem did not go away. Any suggestions? Solution: Try checking if the call divert feature is activated and if it is then turn it off. Tap each of the following options ‘Always Forward’, ‘Forward when busy’, ‘Forward when unanswered’, and ‘Forward when unreachable’. You should also try using a different SIM in your phone and see if this is an account or SIM related issue. If the problem does not occur while using a different SIM then replace your old SIM. Problem: Hi, I couldn’t find a answer on your web page to my problem. My question is, how do I stop locations from turning on randomly by itself? Thanks for any help you can give me. Solution: If your Location keeps turning on this means that the GPS feature of your phone is activating on its own even if it is turned off. The most likely suspect is a third party app that is using your location to perform its intended purpose. To check if this is really caused by an app you should start your phone in Safe Mode. If locations does not turn on by itself in this mode then the issue is very likely caused by a third party app. Find out what that app is and uninstall it. Solution: It look like you already did everything possible to check the software side of things. One last thing you could do is to reflash the firmware of your phone. You will need a copy of your phone’s firmware and a software called Odin installed in your computer. You can check the popular Android forums on instructions on how to do this. If the issue persists even after reflashing the firmware then this may already be caused by a faulty hardware. You should consider bringing your phone to an authorized service center for checking and repair. Problem: I googled a problem i was having with my galaxy s4 and i saw you guys said to email you if any concerns so i will. I berely got my galaxy s4 like 3 days ago so it’s brand new, but what’s been bothering me is that i try taking a picture , with the timer on plus the flash on , and my picture will come out completely black. I was weirded out because i use to have the galaxy s3 and the camera ,timer with flash on worked so well. You were able to see everything nice. So i was wondering if you guys may know why my phone does this? Solution: Does your phone have a case installed? Sometimes the case may block with the camera lens or flash causing the photo to appear black. If nothing is blocking the camera lens and flash then you should proceed with clearing the cache and data of the camera app. Scroll to and tap an application. Problem: I am having a issue with my new phone. I keep getting a mssg “unfortunately your contacts have stopped working” I have tried doing what the professionals suggest. Clear cache under contacts, took off my contact pics. Tried to uninstall google + . Still is not fixed. It is so annoying. My contacts don’t work after i get that mssg for a few times after i get that mssg then contacts finally appear. No one seems to know what the issue is. I hope you can help. I am not very technical which makes it worse. Hope this makes sense. Solution: If clearing the cache of your contacts app does not resolve the issue then the next step is to wipe the cache partition of your phone. If the issue persists then consider doing a factory reset. Make sure to backup your phone data before proceeding. Feel free to send us your questions, suggestions and problems you’ve encountered while using your Android phone. We support every Android device that is available in the market today. And don’t worry, we won’t charge you a single penny for your emails. Email us at [email protected]. We read every email but can’t guarantee a quick response. If we were able to help you, please help us spread the word by sharing our posts with your friends. Hi. I replaced a new screen for S4 I9505 because the older one was crushed. After using it for a couple of days, the screen turned pink. The phone’s touch is not working. After flashing it and factory resetting it, it is still showing the same problem. I kept it off for 10 days or so, then turned it on again. The phone was working perfectly. 6 hours later, the same problem again surfaced. Any suggestions? The bottom of my screen was blotched purple, then slowly turned green, and even purple spots on the screen. I also have problems with my bottom right corner touch. I have a Galaxy S4. Someone said it happened because I dropped it. (my friend did actually today.) Should I be worried?